With all the options out there, deciding which toys to get for your child can seriously make your head spin, but today we’re introducing you to a company that offers a high-quality collection of toys that are both fun and safe for your little one. 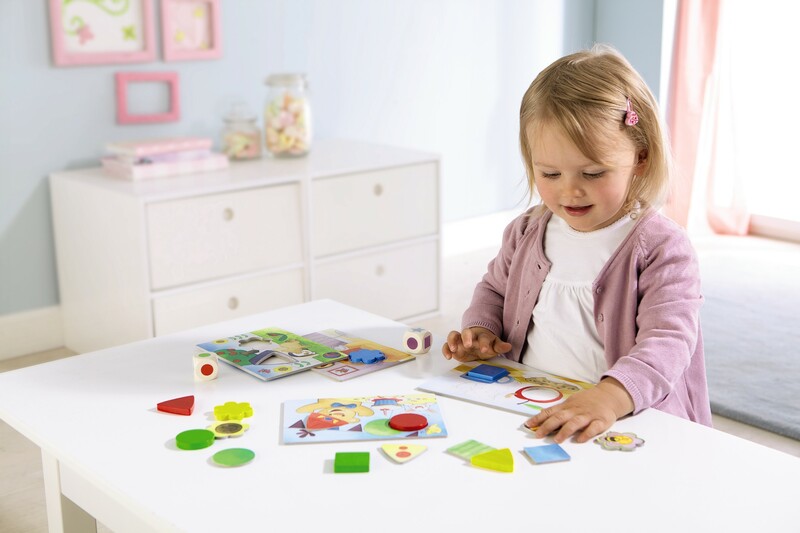 HABA toys and games inspire little ones to be creative and allow children of all ages to have fun while they’re learning skills or facts at the same time. You’ve got to check out HABA and add some of their amazing toys to your wish list for your little. What about HABA makes you most proud? After over 75 years, HABA is still a family-owned company that is more concerned with designing and producing the highest quality childrens’ products for every room in the house. HABA will be introducing an entirely new collection called Little Friends. They are rubber, bendy dolls that are miniatures of our HABA soft dolls with chenille hair. The Little Friends will have little houses that easily snap and unsnap so they can be taken over to grandma’s house. What do you think people might not know about HABA that you’d like to share? We have some of the best family games available. Our games are creative and fun for adults to play along with the children, and the children actually learn something while they are playing without even realizing it. Every child needs a nice, quality set of wooden blocks. It’s inspiring to know that I work for a company that actually cares about the products that they are making for children. Not only is HABA a company that cares, but it is one that has been around for nearly a century and will be around for a very long time to come. You’ll make mistakes—embrace them, learn from them and move on! To learn more about the Haba, be sure to check out their listing in our Vendor Guide.